Unless you’ve been out on a desert island for the past couple of years, you’ve no doubt heard about bitcoin and other cryptocurrencies. You might have also witnessed mention of blockchain, bitcoin mining, and how cryptocurrencies have made many people millionaires, even billionaires. Of course, with your interest piqued, you no doubt want to know more about this new ‘craze’ and how you might be able to get in on the action. When you ask someone about bitcoin, you’ll either get a blank look, a vague attempt at an explanation, or a detailed description that has you completely lost in all of ten seconds. Indeed, it’s a broad and complex topic, and would take several books to cover entirely. Thankfully, you don’t need to be an expert to start dabbling in cryptocurrency. In this post, we’ll give you an overview of what bitcoin is and why you might want to get your hands on some (figuratively speaking, of course). We’ll then reveal how you can buy bitcoin and use it to invest or make purchases. Bitcoin is a decentralized form of currency; there is no central authority figure involved. Within a bitcoin transaction, private key encryption is used to verify owners and that the transaction has taken place. The nature of blockchain technology means that bitcoin transactions are very secure. Transactions can technically be completed for free, although this is rare nowadays and sending or spending bitcoin usually incurs fees. The lower the fee, the longer your transaction will take to process. During peak traffic hours, fees can be pretty steep, so it’s best to trade during off-peak periods. Additional fees are involved in buying or selling bitcoin, and can be very high, especially when fiat currencies are involved. Transactions can be completed almost instantaneously at any time, instead of having to wait for days or even weeks, or for banks to be open. Bitcoin transactions cannot be reversed in the way that traditional banking transactions can. There is a finite number of bitcoins that can be in existence, 21 million to be exact. The smallest unit of a bitcoin is one hundred millionth of a bitcoin (called a satoshi after bitcoin’s anonymous creator). So why would you want some bitcoin of your own? There are a couple of good reasons. One would be as an investment. 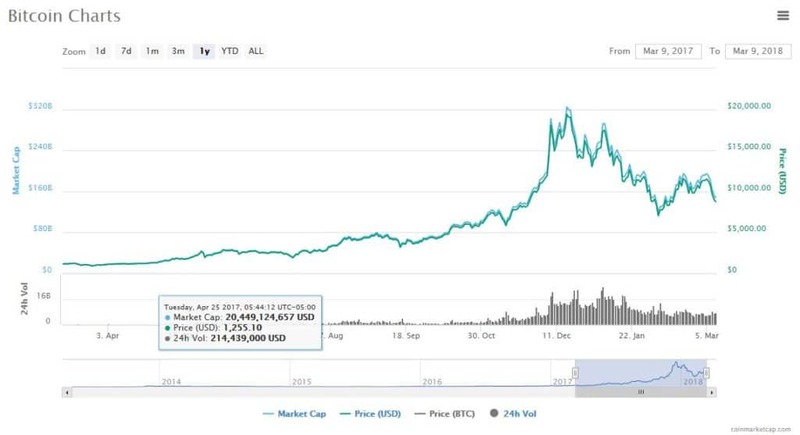 The interest in bitcoin has caused its value to skyrocket over the past few years. At its peak on December 17th, 2017, one bitcoin was valued at $19,783.21. People who acquired bitcoin early on would have seen its value increase several thousand times. While things have slowed down recently, it doesn’t mean bitcoin isn’t still an option for investment. It really depends on how much you believe in this particular cryptocurrency as a future hot commodity. Although, it’s still an extremely volatile market, as investors saw in January, 2018. Of course, you don’t have to look at bitcoin solely as an investment. Its increasingly widespread acceptance means that it can be used to pay for a whole host of goods or services. In this sense, it can be viewed much like any other currency. One of the big differences is that its value currently fluctuates far more than most fiat currencies. There are several ways you can acquire bitcoin. Bitcoin miners can receive bitcoin as a reward when they contribute their computer power to the bitcoin community and help to verify transactions. This does require some significant research to get into as well as some specialized equipment to get started. It’s typically not a worthwhile venture for the average person. Alternatively, you can earn bitcoin by selling goods or services and accepting it as payment. Although, the easiest way to get yourself some bitcoin is to simply buy it. To do this, you have a few options which we’ll delve into here. The most common route for buying bitcoin for beginners is to go through a coin exchange like Coinbase. This particular exchange will accept many forms of fiat currency in exchange for bitcoin or several other cryptocurrencies. 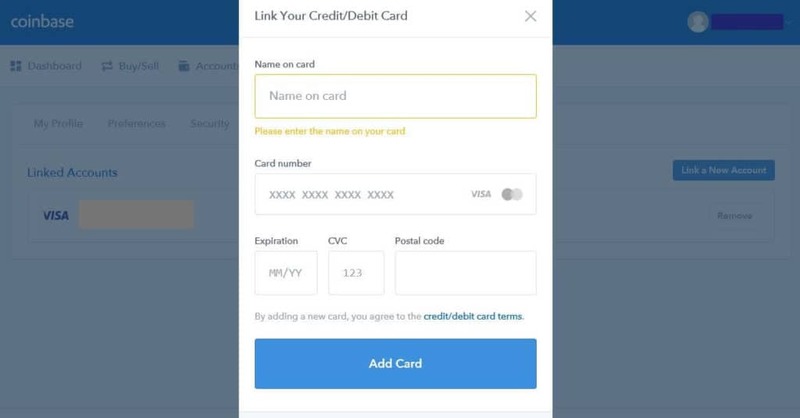 You can connect your credit card or debit card for instant payment, or link to your bank account. The latter will take longer (5-7 days for US customers), but will incur smaller fees than using a card. Connecting both your bank account and credit card also enables you to purchase larger amounts than you could if you just have one or the other connected. 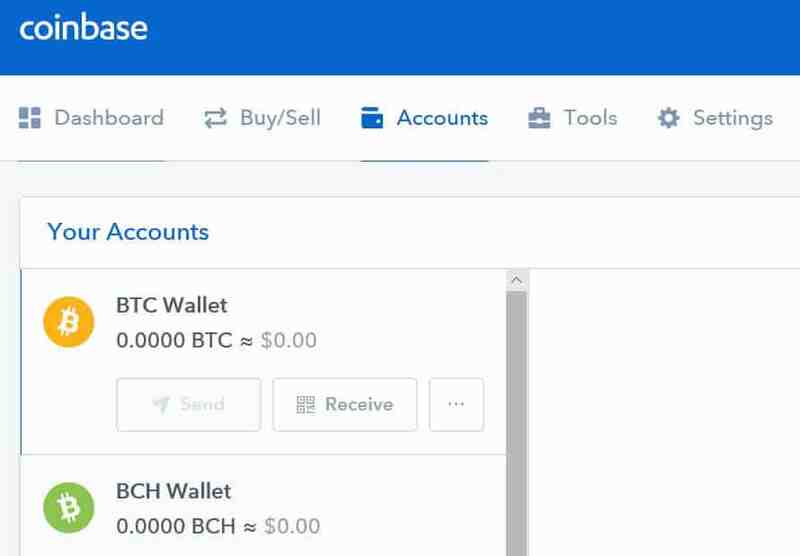 If you already have some bitcoin (or other supported cryptocurrency) elsewhere, for example in a wallet, you can send it over to your Coinbase account. First, you’ll need to generate an address. This can be done in Tools>Addresses. Simply select your currency and click + Create New Address and you’ll be provided with an alphanumeric string. If you click on the Details button, you can view a QR code which is synonymous with the address. When sending bitcoin from another wallet, when the destination for the transaction is requested, you can either copy and paste the alphanumeric string, or scan the QR code. The latter is typically easier if you’re using a mobile device. Similarly, if you were to spend bitcoin for goods or service, you would enter an address (or scan a code) provided by the payee. Some types of coin exchange, such as Poloniex and CoinFalcon, don’t deal with any fiat currencies at all and only trade cryptocurrencies. To use these exchanges, you’ll need to trade your fiat currency elsewhere and send your bitcoin (or other cryptocurrencies) over. Bear in mind that, much like regular currency exchanges, coin exchanges charge fees, and these can add up. Many advertise commission fees of of a fraction of a percentage, but these usually only refer to actual trades. There are also fees (usually much larger, often up to 4%) for deposits into and withdrawals from the exchange. Robinhood, creator of a popular no-fee investment app, did just announce that it’s launching a zero-commission exchange in February, 2018. Before you get too excited, it will only be available in seven US states to begin with. It’s also important to note that there are greatly varying options when it comes to selling or cashing out through each exchange. It’s worth looking into the finer details before putting in any money. 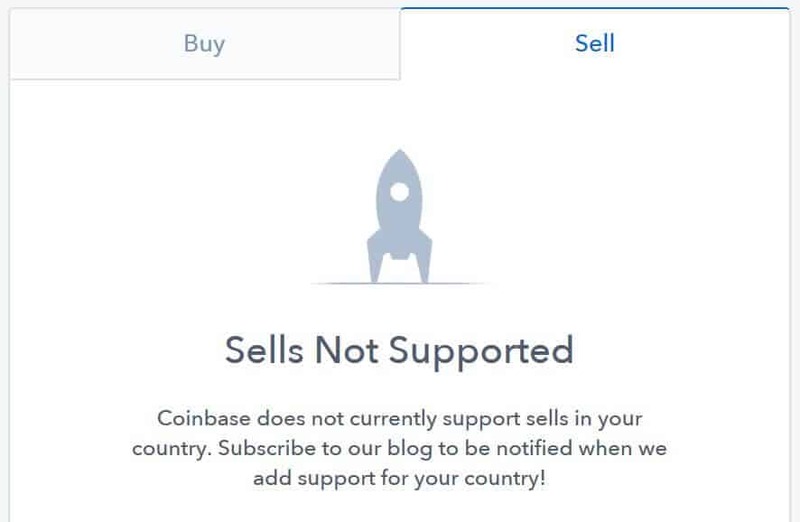 For example, in some countries, Coinbase only allows you to buy bitcoin, and not sell it. If you’re in Canada or Australia, you can transfer it to other places, but you can’t trade it on the exchange. We’re still in the relatively early stages of cryptocurrencies and new exchanges are popping up all the time. It’s a good idea to do plenty of research before jumping in. Bear in mind that, due to the newness of this space, regulations at the federal and state levels are subject to change. This could have an unknown impact on exchanges and what you are able do with your bitcoin. If you’re thinking about trading bitcoin, you might want to consider a broker instead of an exchange. These are typically more complex to use than regular exchanges but offer advantages including stricter regulations (so better security), professional tools, and fewer restrictions. Popular platforms are eToro and AvaTrade. Another option for more advanced bitcoin traders would be peer-to-peer trading sites such as LocalBitcoins and Bisq. Since these platforms enable you to avoid the typical exchange fees, you may be able to find a better deal. However, these sites do lack the convenience of exchanges and offer less trading flexibility. Plus, there is a higher risk of being scammed. It’s worth noting that when you buy bitcoin, you need to keep it somewhere and we briefly mentioned wallets above. Coin wallets offer a way to secure your bitcoin and come in many different forms. Coin wallets are often confused with coin exchanges. It’s true that coin exchanges usually offer wallets as part of their service, although this is not considered the most secure option. Coinbase provides a separate wallet for each type of cryptocurrency. Other types include software or hot wallets, which involve downloading an application to your computer or mobile device. These are considered more secure since you’re in control of your own private keys. Although, one benefit of a keeping your wallet online is that you don’t have to worry so much about damage or loss of your device. Plus, keeping your bitcoin online can simply be more convenient. 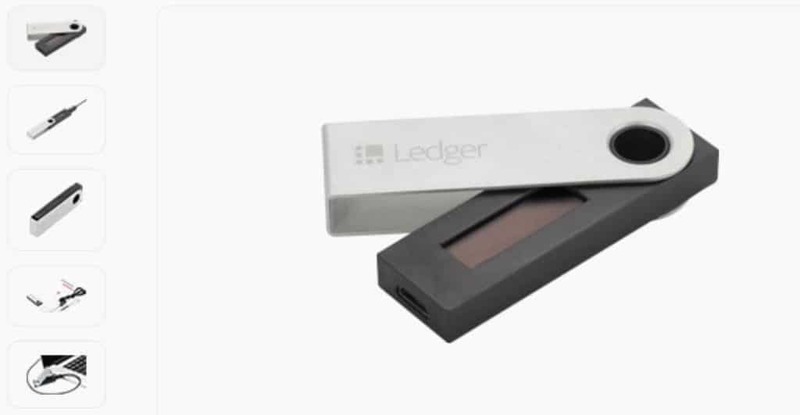 Even more advanced security can be found in hardware wallets, such as the offerings from Ledger and TREZOR. The Ledger Nano S looks a lot like a USB key. Or you could even choose to go offline with ‘cold storage’ for maximum security. 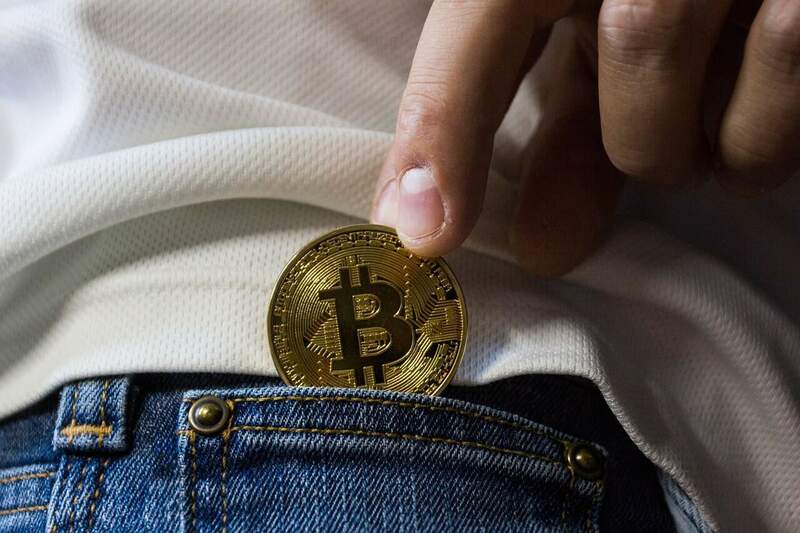 The type of wallet you choose will depend on several factors, including how much bitcoin you have (and the inherent risk associated with it) and how accessible you need your bitcoin to be. What’s more, some are simply much easier to set up and use than others, so that could be a big deciding factor too. Chances are you may want to simply acquire some bitcoin and sit on it with the view to selling it at some point in the future — ideally at a higher price. On the other hand, you may wish to actually use it sooner rather than later, such as for short-term investments or to buy things. Here are some ways you can use your newly acquired crypto. One of the reasons bitcoin shot up in value is because, during the time since its inception, it has become a useful form of currency. It is widely accepted, particularly for online payments. These days, it’s really simple for anyone to start accepting bitcoin, both online and in actual stores. All they need to do is sign up for a service like BitPay and let customers know. You can now use bitcoin to pay for a wide range of goods and services. For example, many of the VPNs we review accept bitcoin as a form of payment. Plenty of major ecommerce sites like eBay and Overstock.com accept bitcoin payments. You can pay for gift cards, household goods, flights, and even space travel using bitcoin. Once you’ve entered into the world of bitcoin, you’ll likely be exposed to the many hundreds of alternative cryptocurrencies that have become available. You may decide to dabble in these ‘altcoins’ and even give up bitcoin altogether. While bitcoin is currently the most widely accepted form of cryptocurrency and has the highest value, other coins have also shown great returns. If you do decide to go this route, you can certainly use your bitcoin to buy other coins. We talked about coin exchanges earlier and this is exactly where you can go to exchange your bitcoin for other cryptocurrencies. Bittrex has a selection of almost 200 cryptocurrencies. Although, now that you’re paying with bitcoin instead of a fiat currency, you’ll have a lot more options. For example, Bittrex and CoinFalcon are both purely coin-based exchanges. These can be especially useful if you intend to buy one of the less popular coins. Exchanges like Coinbase only deal with a few select cryptocurrencies, whereas something like CoinFalcon has dozens to offer. There are a couple things to bear in mind. If you want to switch exchanges, you’ll need to figure out how to get your bitcoin from one to the other. This may be straightforward or not, depending on the two. Again, before you buy, you’ll need to know your options for selling or cashing out. Once you’ve got some bitcoin, if you happen to be lucky and have seen it increase in value, or you simply need the cash back, then you might want to sell it. If you’re holding your bitcoin in an exchange that deals in fiat currencies, you can simply trade it to your chosen currency and have it sent to your bank account. This is essentially selling it back to the exchange and will likely involve fees. If you’re holding your bitcoin in a wallet separate from the exchange, you’ll have to send it over first. When it comes to selling bitcoin, you don’t have to deal with a coin exchange. Other options include selling to a broker or selling peer-to-peer. As mentioned, selling to a broker is similar to using an exchange, but offers many advantages, especially if you’re serious about trading bitcoin and other cryptocurrencies. If you’re planning on using bitcoin for goods and services, an exchange may be all you need. But if you want to get into trading, looking into a broker is a good idea. Finally, selling peer-to-peer is always an option. We mentioned earlier that dedicated platforms, including LocalBitcoins and Bisq, offer a way for buyers and sellers to connect directly. This enables you to set the price yourself and eliminate transaction fees. You could sell at a slightly higher than market rate as you’re also eliminating fees for the buyer. This basically means they separated from the rest of the community and created a new currency. The reason for the fork was disagreement among community members regarding the future of bitcoin and how certain aspects of the network should be handled. While bitcoin (BTC) — sometimes referred to as bitcoin core — remained, the second fork became bitcoin cash (BCH). Differences between the two currencies include the size of each blocks and the verification process used. Bitcoin cash isn’t as popular as bitcoin, but it is still traded on many exchanges and often accepted as a form of payment. Ethereum: This network was launched in 2015 and enables the creation of smart contracts. The name of the actual currency is ether. Litecoin: This cryptocurrency enables instant payments and is easier to mine than bitcoin. Dogecoin: If you can believe it, this cryptocurrency was created as a joke. Its success has surprised many, even its own creator and developers. Ripple: In contrast to many other cryptocurrencies, Ripple is more centralized, isn’t mined, and offers instant transactions. Bear in mind, some of these are easier to get hold of than others, and only a couple have widespread use as a form of payment for goods or services.